DOES offer this service in Isreal also. Phone is for Australian primary way to contact families in Australia and any other countries. standard calling Australia is quite expensive. However, with the help come to us all sorts of dedicated networks (usually virtual), special cards Telecafe or popular Skype (IM). Many of virtual phone numbers companies Offers quite similar benefits when it comes to calls and text messages to Australian. Range from 6 to 8 dollars per minute for calls from Australian virtual line, ranging from 6 to 8 dollars per call on mobile and sms prices are similar. Will Australian Calls will be cheaper? Greater opportunities lie in this case, as most of the Australian calling operators. They not roaming but ordinary international calls. They make promotions / special tariff for callings. Similarly speaks representative PLAY. - PLAY lobbying for substantial reductions in roaming prices across the EU, therefore, at this time we are not planning any specific reductions for each country. If two people connected to the Internet have a free Skype talk to each other without any restrictions. What if one of the parties does not have a computer? Make Callings more cheap than Skype ! Get Australian Virtual Number from Virtual Phone Line.Com at very low Prices ! Charging the Skype account we can for 9 cents per minute for calls to land-lines in Australia (may be different price now). By purchasing a monthly subscription then we call the Australia and the whole of Europe to all land-lines free of charge (Its depend on offers). When calling from Skype to land-lines and cellular our interviewees see our Polish phone number! worth noting that we can take out a few numbers, for example, Polish and German and use two numbers on one account. The fact that computer calls are not comfortable. In addition, having a local phone number we would have all the time to have your computer on to our family and friends to be able to reach you. There is like a standard telephone handset. We are pleased to announce, that now YOU can now also have Pakistani Phone Numbers on Skype Just like Skype IN service. The service is not by skype directly, but by www.VirtualPhoneLine.com which will allow you to buy a Pakistani Phone Number from over 40 cities in Pakistan and then you can have it ring on your Skype ID, anywhere in the world. At this time there is a FREE TRIAL Available for this on www.virtualphoneline.com/signup/ You can get a Islamabad number with no obligations. Give it a try, Send us your feedback. Virtual Phone Line and DIDX are media partners for the world-famous GoMobile conference at GoMobile Website scheduled for Oct. 23-25, 2009 in Kuala Lumpur, Malaysia. You can register here at GoMobile registration. Let me tell you about one more exciting thing happening at GoMobile Expo. This year one of the technologies that will be on show at GoMobile 2009 will be QR Code. Don’t know what a QR code is? You can go grab a copy of the October issue of Mobile World magazine. There’s a QR code on the cover! expo hall. Scan them with your mobile phones in this massive mobile tagging hunt. Decipher the clues from these QR codes before using them to answer questions and stand to win many prizes! Make sure you have the barcode reader app on your phone. Tip: you can download it to your phone from the web if it’s not there. Use your mobile phone and go to http://m.zertopia.com to download the app. Let’s be part of the mobile revolution captivated by the wondrous powers of mobile phones. Invite your friends and family member to register today as a GoMobile Clique member. All GoMobile Clique members will receive gifts when they visit the GoMobile Clique Booth at the exhibition! Remember Martin Luther King's speech? "I have a dream..."
Virtual Phone Line has received so many inquiries wanting to understand how to leverage the new lucrative benefits! First, you have access to purchase telephone numbers from 9000+ cities around the world and to forward that number to anywhere in the world. It is flexible in that you can change your mind by the hour for where you want your incoming calls to your phone number to be forwarded to: PSTN, MSN IM, SIP, IAX2, PSTN (your cell phone or landline number), Skype and more. In fact, you can connect your Virtual Phone Line to Facebook! How can you benefit from Virtual Phone Lines? Let's say that you are an export company based in Mexico and have the opportunity to trade, sell and buy with companies in other countries, such as France, Australia, Singapore, USA, and Canada, but how do you get them to call you? How do you get a local presence in those countries? Get your France phone number, Australia phone number, Singapore phone number, USA phone number and Canada phone number for less than $50 per month total (all five "virtual offices") at Virtual Phone Line. You do not need to build offices in these five countries and deal with the bills of upkeep and human resources. Just get Virtual Phone Lines. How is Virtual Phone Line different from other DID or phone number forwarding services? Virtual Phone Line specializes in call forwarding for you. Virtual Phone Lines can be forwarded to cell phones, landline phones, SIP address, Asterisk IAX2, instant messengers such as Skype and MSN and more. Change the forwarding to ring where you want it to any time. Plus you can connect your Virtual Phone Line with Facebook where you can leverage your local presence in different countries via VPL (virtual phone line) and connect to your company and services page with Facebook ads even! Virtual Phone Line is device agnostic. You can make your virtual phone lines ring to your netbook, notebook, data side of your smart cell phone like iPhone and some Nokia phones, hard internet protocol based phone, regular home or business phone! You can also make it ring on the instant messengers mentioned earlier. You can sign up for your own local presence via a Virtual Phone Line now at http://www.virtualphoneline.com. Dream and put it into action now. 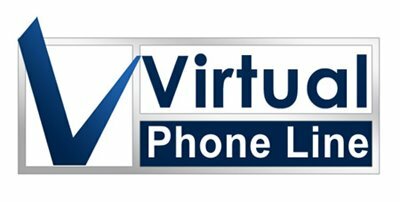 Last month Virtual Phone Line announced its Public Profile Page with Web Dialer feature. "VPL" began as a call diversion service but is now one of the web's most popular social media tools. Today, Super Technologies, Inc., who created and run the Virtual Phone Line service reveals the new empowering personal and business tool of audio blogging. VPL users can login to their personal portals on Virtualphoneline.com and manage their account with integration to Facebook; ring to including Skype, SIP, IAX2, PSTN, FWD, Google Gizmo5, MSN IM, Yahoo IM, GoogleTalk, or Truphone; as well as other standard and premium features. Audio blogging is the newest! "I use my VPL public profile, web dialer, and voicemail features as a method to let my parents back home in Australia know how I am doing in my Masters studies while in UK. My Australia Virtual Phone Line number is what my parents in Australia, my family all over the world in Pakistan, Japan, Mexico and USA, and I call once per day through the web dialer to leave a message of 'What's up!' to each other. I plan to use the content to write a book someday," says Virtual Phone Line user Arinya Khan. Is that cool, or what? You rock, Arinya! Another user of Virtual Phone Line gives a short demo on Youtube on the VPL audio blogging feature. Customers click on 'Profile" once logged in to Virtual Phone Line and scroll to the General Settings area. They choose whether or not they want to enable their public profile and decide what they are willing to share publicly about themselves such as their picture, their location, their Virtual Phone Line numbers, voicemail enabling, and web dialer. Two URLs now belong to the customer: Public Profile page and Audio Blog page. Where customers select "voicemails" in the general settings, short recorded audios can be left by the customer or anyone with access to their web dialer on the customer's public profile page. The voicemails then become an audio blog of reminders, holiday greetings, quotes of the day, polls, and more. Virtual Phone Line is a service that enables users to be local and to be social. The sign up page is at http://www.virtualphoneline.com/signup. Need to be Local at GSMA World Mobile Congress? GSMA World Mobile Congress in Barcelona, Spain... Feb 16-19, 2009 is looking really good for business development in telephony related areas. We (I Suzanne Bowen) would like to meet you, so call me during the event at my local Barcelona DID phone number +34931845154 or add me on Twitter as suzannebowen and let me know there you'll be at GMSA. Anyone can be local during GSMA with a Barcelona phone number. You can use Fring, Nimbuzz, Truphone or many others as your SIP agent. If the SIP agent you download does not offer Barcelona DIDs, you may be able to get one from www.virtualphoneline.com (retail, smb, consumer) or www.didx.net (wholesale where there is a minimum of 50 DID to avoid a monthly $50 fee). There are also several 100 more companies out there that offer local international phone numbers! Get Virtual Phone Line | Call forwarding Service. Powered by Blogger.